McQueen uses labourers’ own words to retell their battles around scaffolding and shithouses, for the safe removal of asbestos, prompt and adequate compensation, and a decent burial. The stories start in convict times and cover the six states and the ACT. The labourers’ struggle for health and safety is followed into their dismantling of the framework of fear erected by the Building and Construction Commission. A union constitutes a school for the working class, wherein they learn self-reliance, learn their rights, privileges, opportunities, as well as their possibilities. Every new demand for better physical protection of the workers ensures a great ideal development for a future generation. In homage to this hope for the world, Framework of Flesh contributes to builders’ labourers’ struggle for socialism. ‘The genius of Humphrey McQueen has brought to life the tremendous and sometimes fatal efforts made by building labourers in constructing the built environment of Australia. 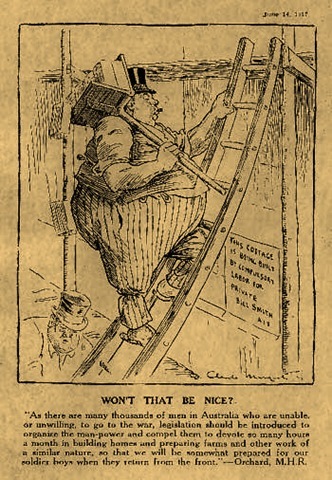 I hope that Framework of Flesh is read by every building worker and by all those with an interest in occupational health and safety, and in construction labour worldwide.’ – Professor Linda Clarke, author of Building Capitalism (1993), Presidium Member, European Institute of Construction Labour Research. This entry was posted in Books and Reviews. Bookmark the permalink. McQueen. Ginninderra Press. 337pp. $30. Collapsed scaffolding at a building site in Melbourne in February this year. Framework of Flesh is a history of the battle for workplace health and safety in Australia’s construction industry. It is also a disturbing read – the bland facts of history are accompanied by a cascade of bodies. Men topple off dangerous scaffolding, are buried alive in unsafe trenches, are killed by debris falling on unhelmeted heads, fall down unmarked lift shafts, are crushed and splattered and maimed. The concluding chapter, ‘Killing no murder’, dethrones the majesty of bourgeois justice by detailing why there can never be ‘one law for all’ in a class system. In homage to this hope for the world, Framework of Flesh contributes to the BLs’ struggle for socialism. 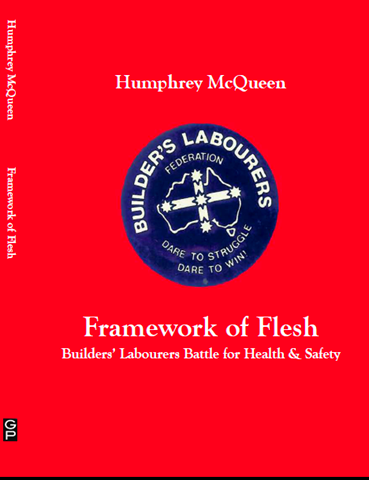 Framework of Flesh: Builders’ Labourers’ Battle for Health & Safety, Humphrey McQueen, Ginninderra Press, $30.00. This Website contains samples from the book and purchasing information. Please Note: Framework of Flesh costs $20 plus postage if ordered by post and $28 if bought at bookshops. LeftPress issues receipts on all transactions.